The Chinese composer Ye Xiaogang 葉小鋼 has been awarded this year’s John Simon Guggenheim Memorial Foundation Fellowships for his cantata Twilight of Tibet. The work was inspired by his many trips to Tibet since 1985. He talked about how intensely spiritual the Tibetan culture is and how it changes the way he sees the world in his statement of the piece. He also said that music can heal the deepest wounds, alleviate the worldly pains and restore confidence for the desperate. “It is one’s hardest thing to keep a conversation with life and voice his independent and responsible attitude.” It is the sincerest wish from a serious composer. Twilight of Tibet is a large-scale work, requiring not only an orchestra, but a chorus and eight soloists. The world premier is now set in Beijing in October. 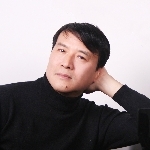 Ye Xiaogang belongs to the post-Cultural Revolution generation of composers. His peers (in many cases, his classmates at the Beijing Central Conservatory of Music) includes Tan Dun, Chen Yi, Guo Wenjin and Chen Qigang, among others. Many of them went overseas to study after college. Ye came to New York– first to Eastman, then to NYU. But he went back after getting his degree, much earlier than most of his peers did. He is now the vice-chancellor of the CCOM. He is also a very prolific film scorer and have composed music for dozens of films. Not every pianist who played on the Carnegie Hall stage is Horowitz or Lang Lang. But then, Horowitz probably never knew how to read someone his Miranda Rights! Chris Yip葉家傑 is that rare combination – a bona fide NYPD police officer and a serious pianist. It is more remarkable that he turned to piano only after he earned his police badge! This started several years ago when he was still a rookie officer. His patrol area included the Brooklyn Music School in the Fort Green neighborhood. He would pass by the school everyday, hearing the music wafting out from the building while keeping his eyes on any suspicious activity on the street. One day, he decided to check out what’s inside and ended up sitting down on a piano bench with a teacher. It is not an easy task to learn piano as an adult, as any piano teacher will tell you. But when there’s a will, there’s a way. 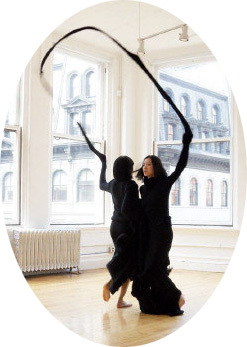 Yip has persevered and is now one of the star alumni at the Brooklyn Music School. He will play at the school’s centennial benefit concert on May 5. Wouldn’t it be fun if he played in his uniform! 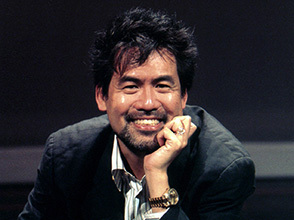 Details of David Henry Hwang’s Artist-in-Residence at the Signature Theater have surfaced. There will be three plays, including the world premier of Kung Fu, inspired by the life of Bruce Lee, about a young martial artist who comes to America from Hong Kong in the 1960s dreaming to be a movie star. Leigh Silverman, who staged Chinglish on Broadway last fall, will direct Kung Fu as well as a revival of Golden Child, which ran on Broadway in 1998. In February 2013 the director May Adrales will mount his 1981 play The Dance and the Railroad. So, no revival of M Butterfly. Does it mean he’s saving it for the long rumored Broadway revival? It has been reported that Justin Lin will direct the film version of David Henry Hwang’s Chinglish, the recent Broadway comedy about an Ohio businessman navigating misunderstandings of language and etiquette in a second-tier Chinese city. This is interesting. Lin is one of the few Asian American directors who have successfully broken into the Hollywood system. He is a friend of David Henry Hwang, who is a contributing writer of Lin’s blog www.YouOffendMeYouOffendMyFamily.com. But since his breakout Better Luck Tomorrow in 2002, Lin has mostly directed the Fast & Furious series, which, despite their ridiculous storylines, are not comedies. So how will Lin handle a story where most actions happen inside characters’ minds? How will Lin handle the story where intrigues and conflicts are resolved with words, not engines and horsepower? To add to the intrigue is the similarities between the Chinglish plot and the current political scandal in China. Will Hwang milk this point in the screenplay he will adapt himself? If they were to film it in China, will China allow it? 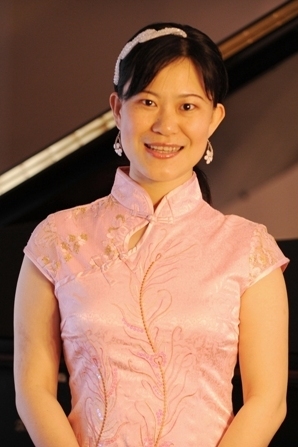 The New York Times reviewed the piano recital of the “Chinese-born, 28-year-old American pianist Jenny Q Chai”. 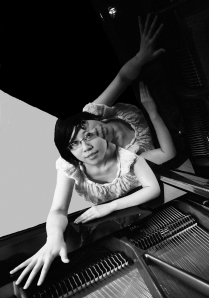 Chai, a co-founder of Ear to Mind, a New York organization that introduces audiences to contemporary music, played Debussy, Ligeti, Messiaen, Marco Stroppa, Gyorgy Kurtag and Schumann in her Zankel Hall recital. I missed the concert so I checked out the Ear to Mind Website. It looks like they’re still working on it. How difficult is it to be a musician in New York today! It’s not enough just to “Practice. Practice. Practice.” They also have to know Web design, marketing and PR. But it’s rewarding to be able to play the music you like to an audience who appreciates it. Chai splits her time between New York and Shanghai. More and more America-trained Chinese musicians have moved back to China, where there is a growing demand for classical music. Let’s hope we can still hear them in New York!